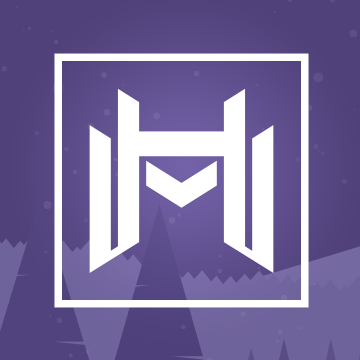 Welcome to my Market Hero review! I don't get a chance to review software and marketing systems, but when I do, I make sure that they're worth reading. Now, if you're reading this article, you're probably curious as to why this email autoresponder has the word HERO on it. You're probably thinking it was powerful mailing features that it deserves such a title. And I am talking about Market Hero. Let me be completely transparent with you, I'm not associated with Market Hero in any form. Instead, I'm here to reveal what makes this email autoresponder a step above the rest of the autoresponders out in the market today. Best For: People who want to develop their profit stream via email marketing or those who want to generate more leads via email. 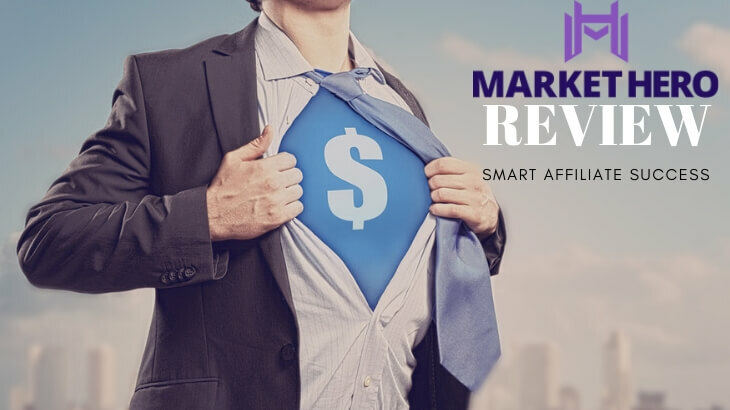 Summary: Market Hero is an email autoresponder developed by SEO expert Alex Becker and the team that created Workhorse, a popular SEO WordPress plugin. With a lot of features that range from automation to accurate tracking to social media integration, I would definitely recommend this program to anyone looking to develop their profit stream via email marketing or who want to generate quality and consistent leads. 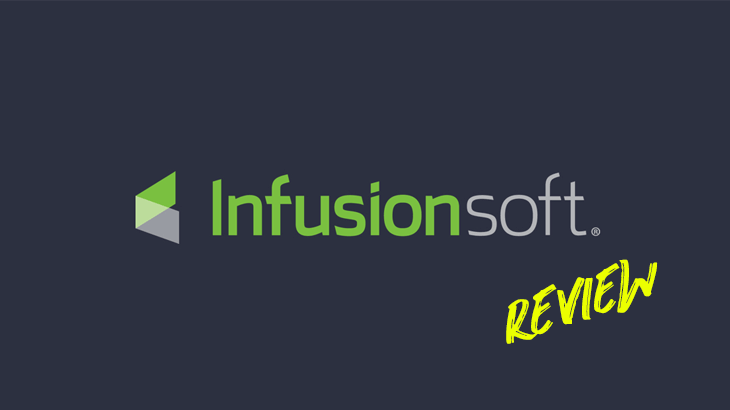 Welcome to my Infusionsoft review! First of all, I must Congratulate you for taking your time to do your own research before making any purchasing decision. Summary: Infusionsoft is a very sophisticated and powerful tool for companies to build list, manage your customers and scale your business. You can customize and automate a lot of things in your entire business/funnel. The downside is its complexity so it's more suitable for companies instead of individuals. First of all, I must Congratulate you for taking your time to do your own research before buying into any "seemingly good" product or business opportunity. Now Lifestyle claims that you can get your body in shape by just doing a 7 minute exercise 3 times a week. On top of that, you can even make a living by recruiting people into this system. Let's face it, these are the basic necessities we all need & want as human beings. So, who won't be excited to have such opportunity? But I understand sometimes this kind of things just sound too good to be true. Is it really possible? Or is Now Lifestyle a scam? 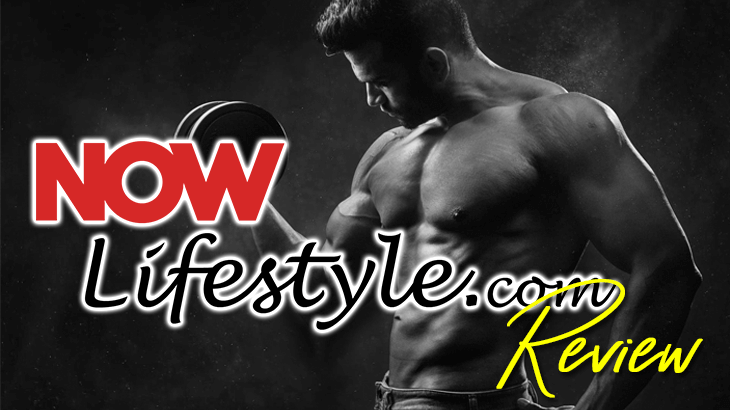 Summary: The good news is that Now Lifestyle is a legit MLM business which integrates internet marketing into the traditional network marketing system. So, if you want the benefits of MLM but hate traditional recruiting, this could be a good option for you. But take note that this is still a very new company so it's too early to draw any conclusion about it. 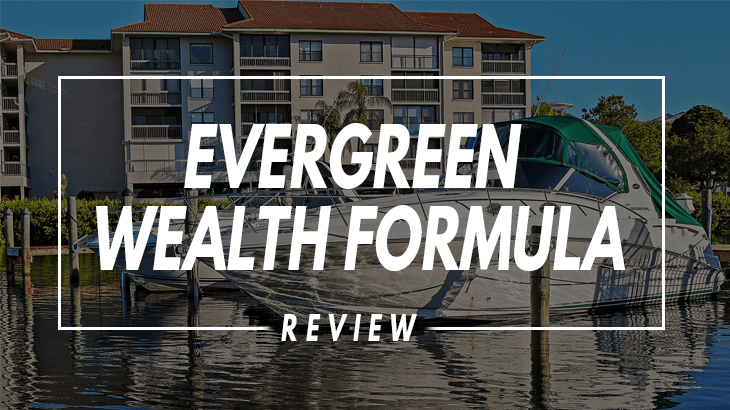 Welcome to my Evergreen Wealth Formula review! Is it really that powerful? 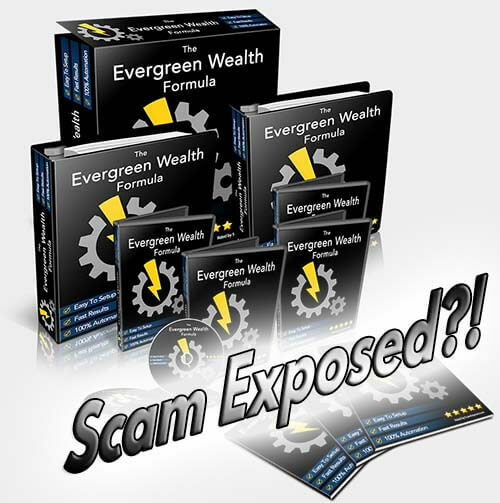 Or is Evergreen Wealth Formula a scam? Summary: The good news for Evergreen Wealth Formula is that it's a legit & affordable course with step-by-step training plus support. However, there are some hidden costs you need to be aware of before joining and there's no free trial. 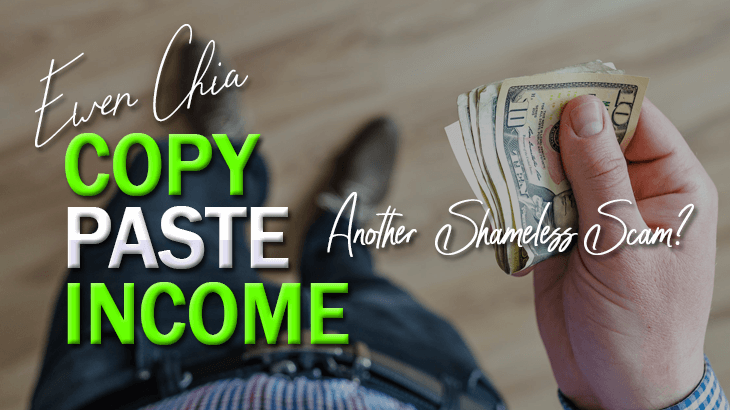 Copy Paste Income Review – Yet Another Lie from Ewen Chia! 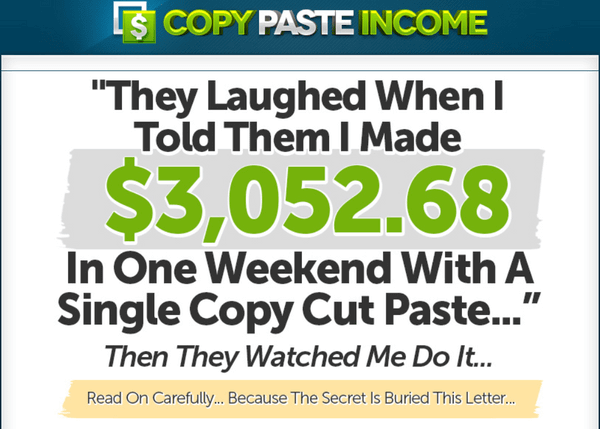 Welcome to my Copy Paste Income review! First of all, I must Congratulate you for taking the time to do your own research before buying into any "seemingly good" product. Why the number is $3,052.68, so exact? I don't know. But one thing I can guarantee you is that this is just a fake made up number to capture your attention. Summary: Copy Paste Income is just another sales funnel created by Ewen Chia to promote his products and make more money for himself. This is evident in the techniques he used within the product which I'll be exposing to you very soon in this review. 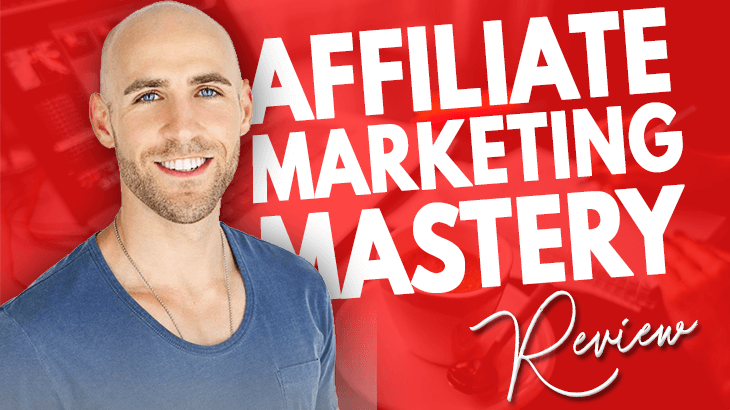 Elite Blog Academy Review: What Affiliates Fail to Tell You! 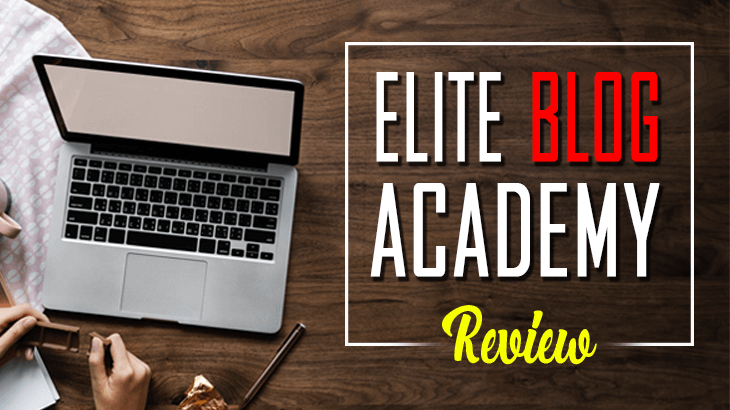 Welcome to my Elite Blog Academy review! First of all, I must congratulate you for taking the time to do your own research before buying into any "seemingly good" products. That's the way to avoid scams and find the legitimate program to make real money online! I'm NOT an Affiliate of Elite Blog Academy! If you do a simple search and look at all the other Elite Blog Academy reviews, you'll find that majority of them are all written by EBA Affiliates who are promoting this product. Yes, some of them are unbiased and honest. Summary: Elite Blog Academy is a decent course helping intermediate bloggers to reach the next level in blogging. But in my opinion, it is an overpriced product and the fact that it only opens to the public once a year for 5 days makes it extremely hard to get in. There's really no point waiting for it if you've missed the date. 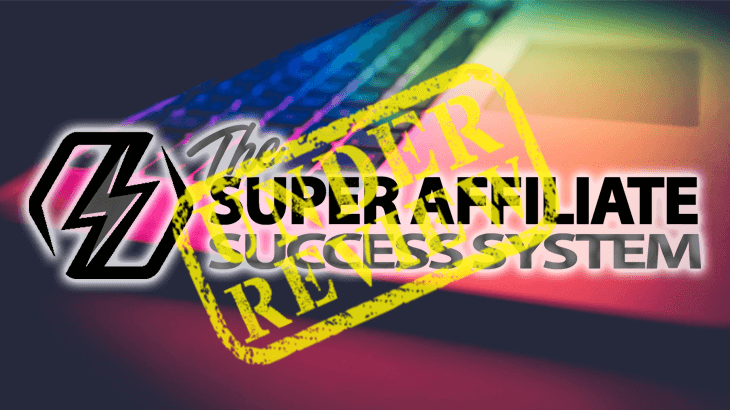 Welcome to The Super Affiliate Success System review! First of all, I must Congratulate you for taking the time to do your own research before buying into any "seemingly good" product or opportunity. 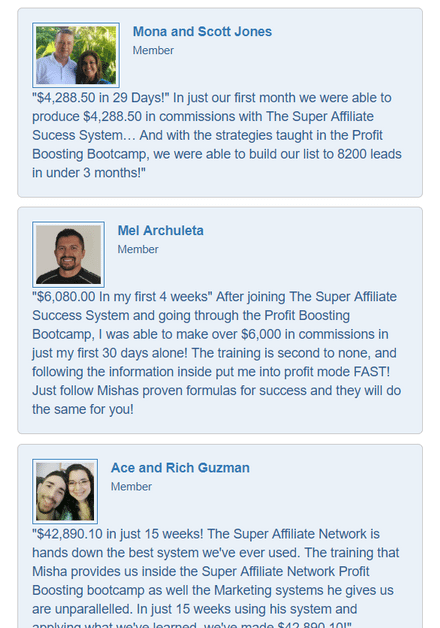 The Super Affiliate Success System is definitely something too good to be true. Summary: The Super Affiliate Success System is just a sales funnel created to promote The Super Affiliate Network, which is a high-ticket affiliate marketing training platform. If you want to join, prepare yourself with at least a few thousand dollars before even considering. 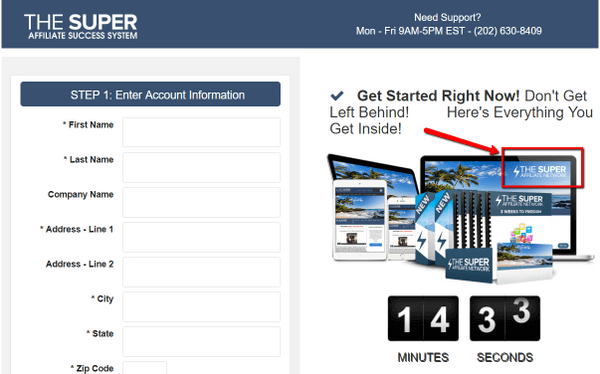 Welcome to My Super Affiliate Mentor review! That's the way to stay away from scams and find the real legitimate way to make money online. I'm not an affiliate of My Super Affiliate Mentor so rest assured that I'm not here to write this product review just to promote it to you. In fact, My Super Affiliate Mentor claimed that you can make thousands of dollars per day with minimal work because their "system" will take care of all the selling for you. So, is it really possible? Or is My Super Affiliate Mentor a scam? Summary: My Super Affiliate Mentor is simply a hyped-up sales funnel for The Super Affiliate Network, a high-ticket Affiliate Marketing training membership platform. 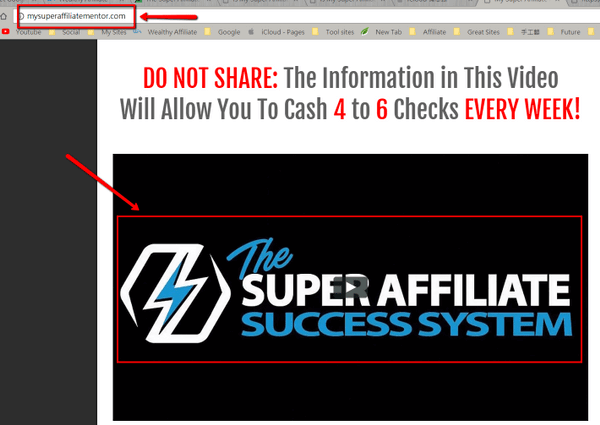 Currently, it's rebranded to "The Super Affiliate Success System". But it's just a sales funnel to "recruit" you into the system. 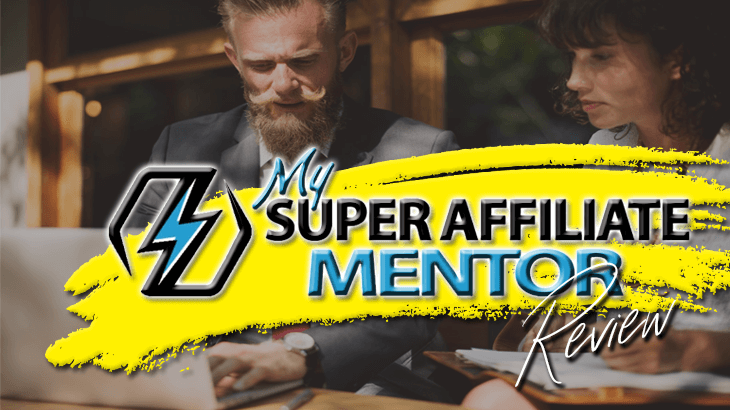 What is My Super Affiliate Mentor? When I only watched the first few seconds of their sales video, numerous scam alarms went off. If you haven't watched it, you can go and have a look. It's a typical hyped up, scammy and completely misleading kind of sales pitch. Straightaway they show you a number of people claiming to make thousands per day. Not only that, they said that they're revealing to you the "secret" for you to make big bucks with very little effort. Are you sure it's 100% Free? Also, the narrator claimed that it's in her best interest to help you make money because if you make money, she also makes money. It's a win-win situation. To be honest, this is a typical sales technique. The reason she is making money when you join is because she is "recruiting" you into the system. She is earning affiliate commissions from the membership fees you pay. If you're a complete beginner, I understand the entire sales pitch may sound very attractive to you. But you should be aware that if something seems too good to be true, it most probably is. Almost all of these techniques are used to play with your psychology to increase your trust for them. Unfortunately, that only works for complete newbies. My Super Affiliate Mentor Ugly Truths Revealed! If you're observant enough, you'll be quite confused with their sales page. It's called "My Super Affiliate Mentor", yet the entire sales video talked about "The Super Affiliate Success System". 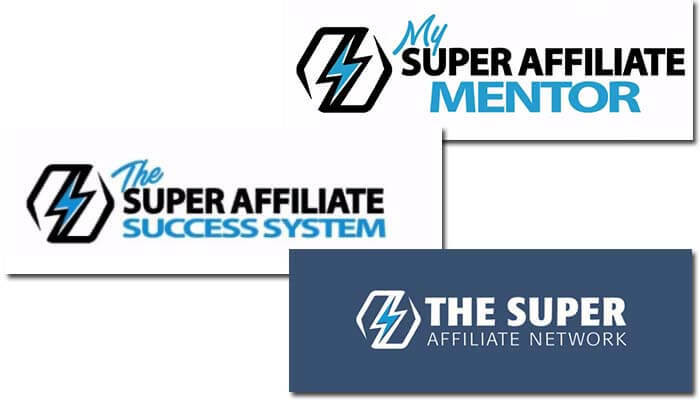 The URL of the sales page is MySuperAffiliateMentor.com! Both "My Super Affiliate Mentor" and "The Super Affiliate Success System" are not real programs! Both of them are just sales funnels for another platform called The Super Affiliate Network (SAN). But it seems that the mysterious owner of My Super Affiliate Mentor has re-branded the sales funnel into "The Super Affiliate Success System", probably because a lot of people had found out the true identity. They all use the exact same icon, just with different texts on it. My guessing is that the mysterious owner of this sales funnel is just an affiliate of The Super Affiliate Network. So this entire sales funnel is just his/her "weapon" to recruit people under him/her so that he/she earns affiliate commissions. So What Exactly is The Super Affiliate Network (SAN)? SAN is a brain child of Misha Wilson, the legendary internet marketer who is known as the youngest and fastest growing traffic and conversion expert on the Internet. According to him, he wanted to help others achieve the same kind of success like him so he created the SAN to deliver his knowledge and help people make money online via affiliate marketing. In essence, SAN is an Affiliate Marketing training membership platform. They have lots of online courses with video training teaching various aspects of internet marketing. SAN is a very controversial program. Instead of being the "Affiliate Marketing training membership platform", I would like to call it the "High-ticket Membership Upsell Machine!" Don't expect yourself to get by with just a $47/month Basic Membership because with Basic Membership, you can't earn the high-ticket commissions they want to push to you. Not only that, you'll be assigned with a "coach/mentor" once you join. It may sound like a good idea but to be honest, such coaches are just telesales person to upsell you their back-end membership products. The SAN members will definitely disagree with me on this because there is legit training inside the members area and you can really make money. That's true. In essence, you're just purchasing a "resell right" to resell their digital training products. To be completely transparent with you, this type of program is nothing new. You can take a look at other programs like Digital Altitude, MOBE, Legendary Marketer and AWOL Academy. Can you start to see why you should stay away from such programs? By the way, My Super Affiliate Mentor and The Super Affiliate Success System are very similar to the Laptop Lifestyle System (LLS) because LLS is just a sales funnel built to promote MOBE! In fact, My Super Affiliate Mentor is being honest despite all the misleading hypes. "The typical purchaser does not make any money using this system"
I respect them for being so honest unlike many other low quality products or scams. I've exposed countless scams which use fake testimonials to prove their scam products work. I've done my own research and found out these pictures are real members of The SAN. For example, Mel Archuleta has a website at melarchuleta.com promoting SAN. You can also check out Ace and Rich Guzman's website here! 2. Yes, You Can Really Make Money! Yes, you can make real money with them. This is the same for programs like AWOL Academy, MOBE and Legendary Marketer. There are real people who can achieve huge success with these systems. But the problem is that you need to invest thousands of dollars in their high-ticket products in the first place. You're expected to resell their membership to make money. It's hard for you to build your own online business however you like. This is unlike Wealthy Affiliate where you're taught the skills to build your own affiliate marketing business in whatever niche of your choice, be it any kind of sports, gadgets, accessories or even weird niches like Football Snack Helmets! 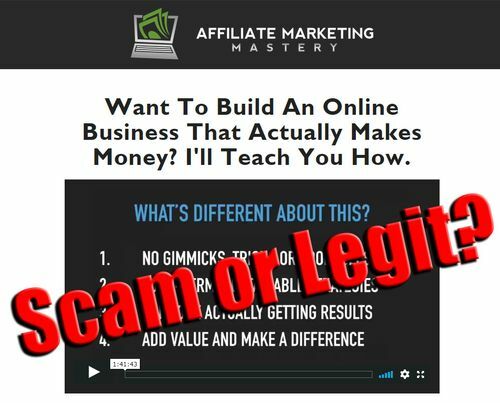 Is My Super Affiliate Mentor a Scam? No, My Super Affiliate Mentor is not a scam. Neither is The Super Affiliate Network a scam. My Super Affiliate Mentor is just a hyped-up and misleading sales funnel created to promote The SAN. And The SAN is just a high-ticket membership platform which is all about reselling their membership and recruiting people into the system. That's why I rate The SAN 45/100 while My Super Affiliate Mentor with a score of only 10/100. But such programs are just not recommended for the reasons I've explained in this review. 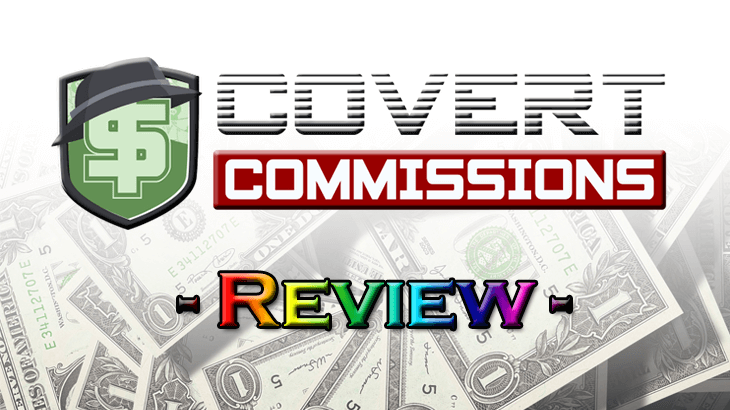 Covert Commissions Review – Affiliate Marketing The Wrong Way? Welcome to my Covert Commissions review! First of all, I want to say Congratulations for taking the time to do your own research before buying into any "seemingly good" products. I know I only have a few seconds to grab your attention. So very quickly, why listen to me? I'm not like any other reviewers out there reviewing products just to promote it. If you've been following me, you'll know that I always dig DEEP into each product to come up with a very in-depth and balanced review. So it'll definitely be the same for this review on Covert Commissions. In fact, please be extremely careful if you come across any reviews highly recommending Covert Commissions. The person behind it must be promoting it with a very biased review. Summary: Covert Commissions is a decent Done-For-You affiliate marketing service with ready-made sales funnel. All you need to do is to drive traffic. However, there are outdated training and the pre-made sales funnel is pretty crappy. So, it's a legit but not so good product after all.